A side hustle – key to happiness? I recently listened to a podcast that Rich Roll put up, if you haven’t discovered Rich Roll yet, I can highly recommend his podcasts and books. Along with Sam Harris, I absolutely love the Rich Roll series, in fact, in my world these two podcasts are must listens. With that said, Rich roll recently did a podcast with Chris Guillebeau called “everyone needs a side hustle, even if you love your job”. I never heard of Chris Guillebeau before this episode, but apparently he has a few side hustles that are going good for him, and in a way the entire podcast was about the need to have a side hustle. A side income of some kind, it’s nothing you have to live off of, but just an extra income. I can’t really go into detail about the podcast, as I’ve already forgotten most of it and I’m currently writing this at a kids playhouse while my son is running around being a kid.. Anyway, it got me thinking that for almost my entire life I have had a side income or hustle of some kind. When I was in grade school I was recycling bottles and putting that money into government bonds. Those government bonds eventually I cashed in for DJ equipment when I turned 14. Along with DJing in High School I was cleaning carpets, buying and selling on Ebay when it first broke through, trading stocks, writing books so on and so forth and today I run Backpackinglight.dk and .se. A site dedicated to lightweight backpacking gear – and I absolutely love it. To say that I was raised with an entrepreneurial spirit is to downplay the things I’ve done. My family was and is very much a hard working middle class family. For the entirety of my adolescence I was a military brat. Not until I moved to Sweden did I actually experience life outside the military “socialist” bubble. I call it a socialist bubble, because that’s exactly what being in the military is: From school, to work, to shopping.. Everything is a self contained socialist bubble. Real life didn’t start for me until I left the states. Anyway, I don’t know if I was raised in the manner that I must always have a side income, it was more just something I really enjoyed, and I find that I am happiest when I have something going on in my life outside the normal 9 to 5 job. To me, it’s not about the money, it’s about the joy of dedicating my life to something, for myself. With a job, I dedicate my life to my employers, to a middle class lifestyle that I don’t particularly care for, to my wife and child and their safety and economic security. Most of my life is spent in dedication to others, dedicated to everything outside myself and my own interest. A side hustle on the other hand, is something that I dedicate to myself. Instead of spending my time and money on things that mean or lead to nothing (video games, TV and so on) – A side hustle is a dedication to my passion. It engrosses me fully. Some of my side hustles have been a great source of income, and even led to being my only income for many years – such as being a DJ and producer. It was a great life while it lasted, but I always knew I didn’t want to be the 40 year old dj, half drunk and playing golden oldies at geezer parties. So I moved on. Other side hustles have barely pulled in any income at all, but were enjoyable no less. It’s easy to confuse a side hustle with a hobby. Running is a hobby. Playing video games is a hobby, even hiking is a hobby. A side hustle is when you run and maybe do training sessions for paying clients, or write books on running. Hiking, just for the sake of hiking, is a hobby, a damn fun one, but it’s not a side hustle – a side hustle might be designing and sewing your own backpacks to sell. Another misconception with starting a business is that you have to give up everything and take out a loan on your house and life, all or nothing approach. I think that’s fine if you’re 20 and have maybe a cat as your biggest dependent. But later on in life, it’s time to grow up and be realistic – often times a side hustle doesn’t have to cost anything at all. The chances of being able to drop everything, start a business tomorrow and be able to live off of it within days is simply a fantasy for 99.9999% of the world’s population. But often that’s exactly how many people think and it’s not completely unusual for people to take out massive loans where most of the money goes to their own living expenses. It takes time, dedication and intelligence. You have to put in the ground work, and yes, you will probably have to continue living life at a job you hate, or love, until the side income gets moving. When I started this blog, it didn’t have any income, it still doesn’t, more or less. Though it has led to other sources of income such as Books and Backpackinglight.dk. I still work at a 9-5 job as a manager over 20+ employees, I love my job, but I don’t want it to be the only dedication I have in life. And to be completely honest, my dream is to live off of my hiking hobby. 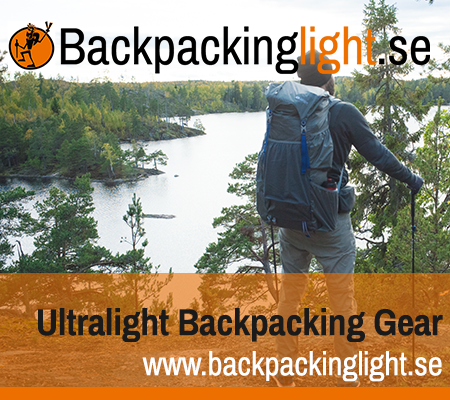 My dream is to work hard 3 weeks a month and run my business, write in my blog and have contact with potential customers at backpackinglight – I absolutely love this, and spend a week out hiking. This is my dream that I have been working towards for the past 4 years. Maybe I will succeed with my dream, maybe not, but atleast I am trying and it makes me extremely happy. Fulfilled I guess is the proper word for it. Maybe you like writing – what would that cost? Don’t know how to properly write or how to sew a backpack? Youtube is an awesome source of inspiration and knowledge. There is no limit to what you can achieve if you’re willing to put in the time and effort. Get your side hustle moving today! You are your only road block. Think small and scale up! Don’t quit your job today and expect to live off your fantasy tomorrow. Willful ignorance is your friend! My secret to getting things done is to start! I usually say to people who ask that I see the goal (where I want to end up) and I see the first steps. Everything else I ignore – and I do this because if I always know how difficult something would be, I would never start. Do something you love – Obviously. Oh my gosh! I was also a military brat; my dad was Army. And it’s insane how much everything in the community is self sufficient, and how out of place I felt for a little while after I left it. I also always had little projects going. I worked at a ranch. I tutored. When I was a little kid, we had garage sales and I sold lemonade. Now I always have two or three projects outside of my 9-to-5 going on. And while sometimes I get overwhelmed, for the most part, I like living my life this busy. Hahaha, I mean, that’s one way to adjust… I went to uni and it gave me time to step out of the military before stepping into every day life.